TENS, or Transcutaneous Electrical Nerve Stimulation, therapy is the process of administering small doses of low voltage electrical current to a pain source in order to relieve it. Previously used only by doctors and physical therapists, TENS units are now available for home use, and there are a variety to choose from. They're very small—about the size of a mobile phone—and they generally run on batteries. You connect the electrodes (small pads connected to the unit by a wire) to your skin, turn it on, and let the healing begin. Why and how does this work? Well, as is typical in many medical mysteries, there is no definitive answer. There are, however, two theories. One is that the electrical impulses travel along the nerves, and scramble the signals from the brain that tell your body you're in pain. The other is that the electrical impulses stimulate and release endorphins, which are the naturally-occurring chemicals in our brains that our bodies release when we hurt ourselves, to relieve the pain. 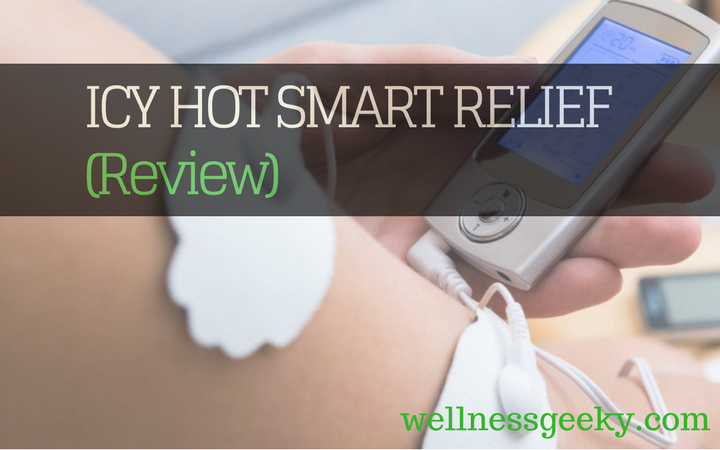 Icy Hot Smart Relief and Aleve both make a TENS therapy device that is affordable and effective. We tested, researched and reviews both fully, and when compared head-to-head, here's why Aleve is the clear winner. Designed to relieve lower back pain, the Aleve Direct Therapy TENS device utilizes three-stage waveform technology that incorporates both the signal-scrambling and endorphin-releasing methodologies into one unit. This combination utilizes both approaches to relieving pain. Drug-free and completely safe, the low voltage pulses work to target the pain where it occurs and stop it fast, so you can get back to doing the activities you most enjoy. Flexible and thin, the unit is designed to move with you, no matter what your level of activity. It's only a little under an inch thick, seven inches long, and three and a half inches wide. It weighs just under five ounces, making it barely perceptible. The electrodes snugly and securely adhere to the contours of your lower back, so it's easy to apply and forget. You can wear it discreetly under any garment. It's durable and will stand up to even the heaviest wear and tear. There are no wires or straps to contend with, so it's virtually unnoticeable. And, as you can see in this video, it's very easy to set up and use. The gel pads are reusable up to five times (you can get a replacement pads). They stick to your skin and stay in place no matter what your level of activity. You control the level of intensity—there are 15 to choose from—by way of the easy-to-use remote control, making it very easy to take with you to the office or when you travel. It's not to be used in the car, when sleeping, or in water, however. Both the unit and remote control use AAA batteries. If administering 30-minute sessions at a time, the batteries in the device will last 120 uses. The remote control battery will last up to six months, depending on how much you use it. It's silent when running, so you can rest easy when in a crowd or place of business. No one will know you're using it, so it's completely discreet. The unit has been cleared by the Food and Drug Administration. It is regulated as a Class Two medical device, so you can use it with peace of mind. Available on Amazon, the this device is an outstanding affordable, drug-free pain reliever that you can wear almost anywhere. It also utilizes AAA batteries, which are easy to find, affordable, and available in rechargeable options. The Icy Hot Smart Relief delivers TENS therapy to relieve moderate to chronic back pain as well, but the feature set and cost simply don't measure up. It, like the unit. It operates on principle of blocking the signals to the brain that tell us we are experiencing pain and stimulating the release of endorphins, the pain-relieving chemicals that naturally occur in our bodies. The design isn't as elegant, attractive, or easy to use as the Aleve model. To use it, you snap the unit on to the electrode pad, peel the pad off the adhesive strip, and then you attach the pad to the point of pain on your back. You then press the on/off button and select your intensity level. When you are finished, you remove the unit and stick the pad back to the adhesive. Each pad lasts approximately 12 to 30 uses. You get more intensity levels with the Icy Hot version—you can adjust it all the way up to 63. However, doing so uses a lot of battery power, requiring you to change the battery frequently. It has no remote control, so you must use the buttons on the unit itself in order to change the setting. It's not quite as discreet as the Aleve model. The device remains exposed on the adhesive pad for adjustments, which makes it a bit less durable and not as easy to camouflage under clothing. It's bulky and unsightly. The Icy Hot uses CR2 batteries, and if you use it at the higher levels of intensity, you will go through a lot of batteries. Because they are more expensive than regular AAA batteries, this cost will add up quickly, making this unit much more expensive in the long run. It also prohibits you from using rechargeable batteries, which are more convenient and cost effective. If you suffer from chronic or moderate musculoskeletal pain in your back, knees, neck or hips, you've probably tried every remedy there is to get some relief. Muscle and joint pain can be caused by many different factors, and each has the same, if not more treatments. This makes zeroing in on a cure very elusive. What research has shown, however, is that relief can be had with the use of TENS therapy. While there are many models on the market to choose from, after we put the Aleve Direct Therapy TENS device at the top of the list. Utilizing the same technology as doctors and physical therapists use; incorporating waveform technology; delivering high intensity pain relief; slim, flexible, and easy to use; and backed by a one-year warranty, it's our number one choice for relieving back pain.